It’s National Hallmark LOVE day. 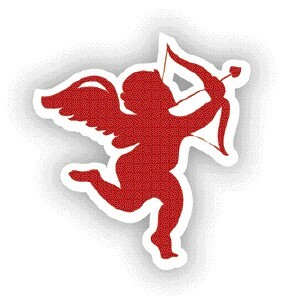 It’s the one day a year when you reflect on your love for that special someone or someones (Hello UTAH!). Let’s stop the card and flower buying frenzy for a moment and think. One day? 365 days in a year and you only do this ONCE? What the hell is wrong with you? I’m a sentimental romantic at times. My wife would say not enough (‘Is this Bill writing?’ she would ask) but it’s there. As we get older and wiser and envelop ourselves around another human being, love becomes more than just dropping rose petals in a path to the bedroom or bringing flowers home once a week. Raise two 2 kids and what love is morphs into an entirely different dimension. So dear wife… what does love mean to me now? It’s the smile I give you when you beat me at Skip Bo AGAIN. It’s the laughter we share at jokes that no one else would find funny. It’s our crazy pet names and how beautiful I think you are… especially when you’re mad at me. There’s no one on this earth who understands me better and loves me for who I am. I’m flawed… and you don’t care. Love gets stronger with age. New love is summed up with one sentence: “I don’t have a clue what to do when it comes to you.” I’ve spent the last 18 years finding out what to do my dear wife and I LOVE what I’ve learned. I wouldn’t change a thing. 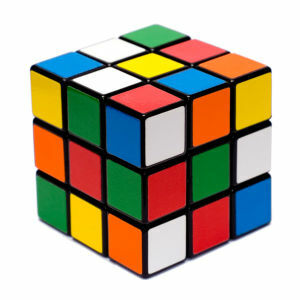 A relationship is like a Rubix Cube. One that’s all mixed up. Time plays around with it for a while and then puts it back. It’s still the same Rubix but it’s always changing. Colors that were once next to each other are all flipped around and the view becomes different. We can never make the Rubix perfect but the fun is in trying to make it so. So, okay, fine, celebrate the day and each other. Praise your spouse for what they do for you but most importantly LOVE them for who they are. We’ll pass out the cards and dish out plenty of smooches. We’ll all overpay for dinner, overpay for the babysitter, and then be too tired for any late night activities. [sigh] … well there will always be next year I guess.